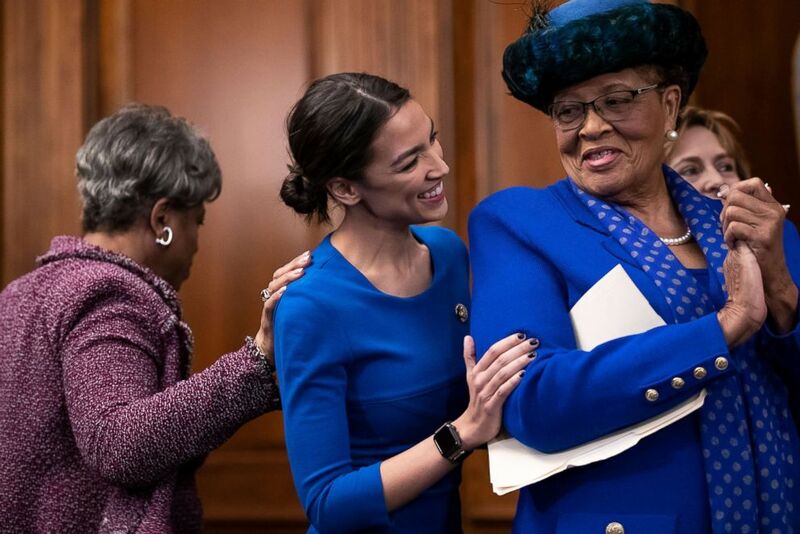 Rep. Brenda Lawrence, left, shows encouragement for Rep. Alexandria Ocasio-Cortez, as she speaks to Rep. Alma Adams at an event to advocate for the Paycheck Fairness Act at the Capitol in Washington, Jan. 30, 2019. The political firepower that Democratic women possess heading into the 2020 presidential campaign continues to grow — with a record number of women expected to seek the Democratic nomination coupled with a record 102 women serving in Congress –- though there is still a majority of white men serving in Congress. A recent ABC News – Washington Post poll found that nearly two-thirds of women say they have already ruled out voting for President Donald Trump in 2020. 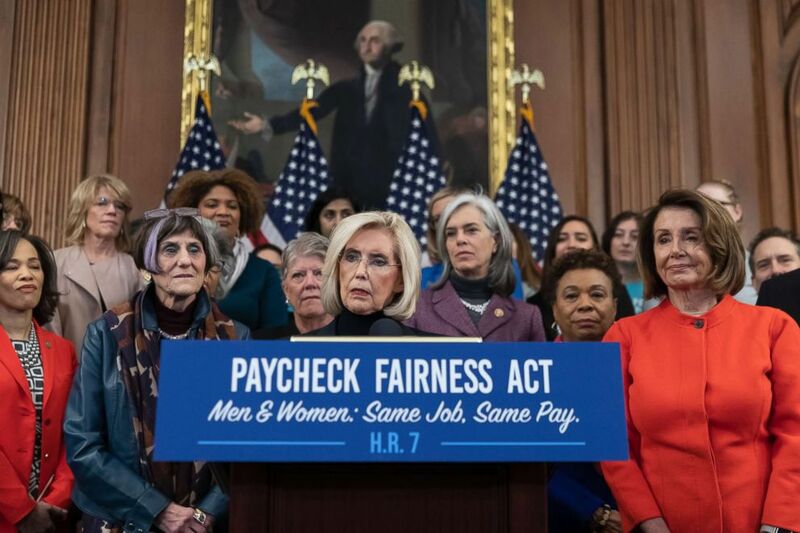 Lilly Ledbetter, center, an activist for workplace equality, is flanked by Speaker of the House Nancy Pelosi and Rep. Rosa DeLauro while she speaks at an event to advocate for the Paycheck Fairness Act at the Capitol in Washington, Jan. 30, 2019. 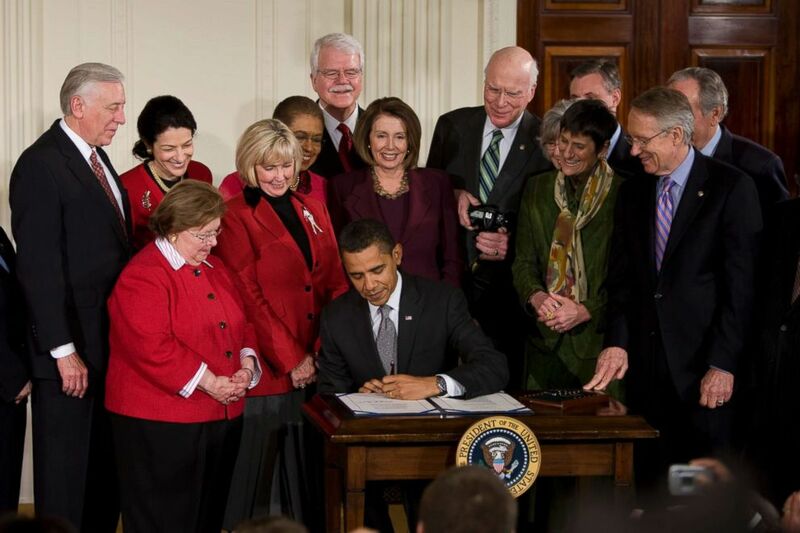 Surrounded by members of Congress, President Barack Obama signs the Lilly Ledbetter Fair Pay Act while Lilly Ledbetter stands to the left of Obama, Jan. 29, 2009, in the East Room at the White House in Washington.